introduction, (We’re not saying that’s a bad thing, but Disney fans wanting an in-depth look at what goes on behind the scenes of a Disney park will need to look elsewhere) but what that means is that during the 50 minutes we get a good look at many different departments over a wide variety of time. One thing we did notice which confused us a slight bit was the opening which featured beautiful tilt-shift shots of the parks, including the Walt Disney Studios park, but this second gate was not mentioned once during the film itself which leads us to believe that this could have, unfortunately, made the cutting room floor. 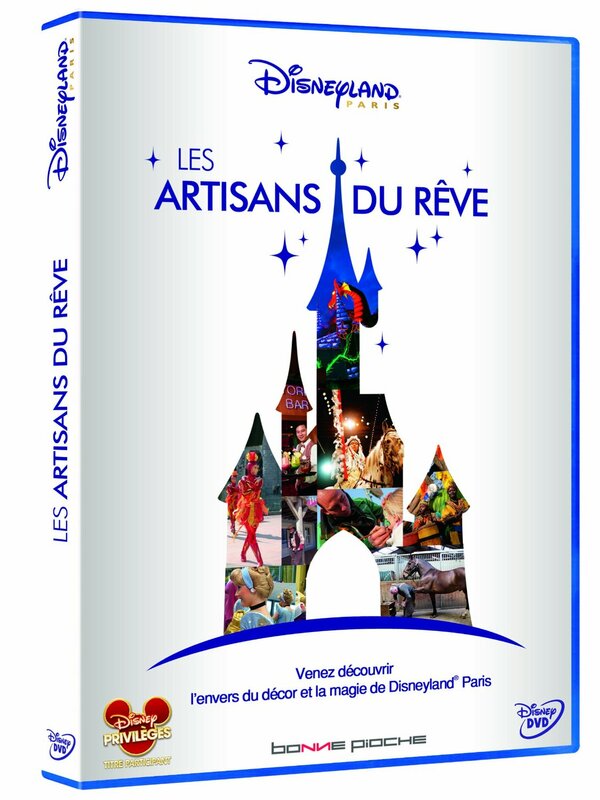 We really liked how this documentary, whilst seemingly targeted at fans of Disneyland Paris, did not alienate visitors who had never visited by giving introductory piece of aspects of the park, examples of this include cast member costuming how ‘each land has its own look, its own costume’ and during the segment about park refurbishment Main Street USA was described as ‘The Champs-Elysées of the park’. The film gave a good insight into ‘operational backstage’ as we are going to call it, for example we are shown the costuming department solving problems, such as fixing a parade outfit, or creating Mickey’s 20th anniversary wizard costume. Our criticism however with this section was ‘sugar-coating’ aspects of the process, we are treated to Cinderella’s presence in the department as she has a problem with her dress, we are then given a ‘tour’ of the dress and as the filmmaker asks Cinderella a question she looks almost blindly towards the camera in a ‘I’ve been told not to say anything’ sort of way, it’s a small complaint for an otherwise fantastic insight into the work of Disneyland Paris cast members. 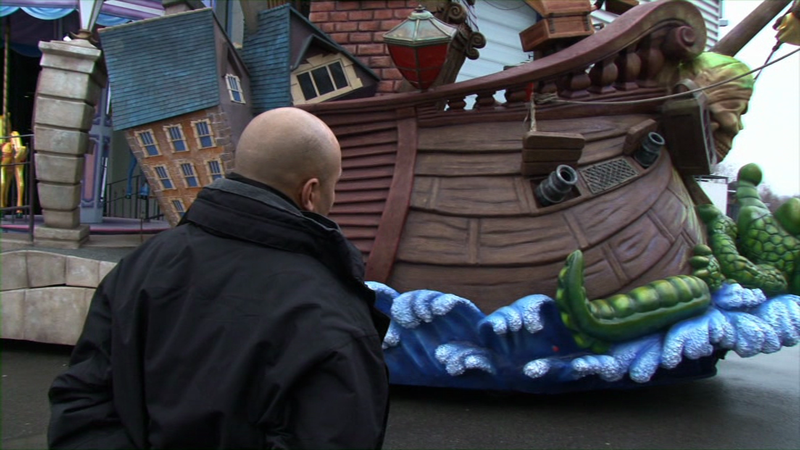 The brief nature of each segment of the documentary means we can see a diverse range of roles offered at the resort, perhaps the most well realised section is the day in the life of a parade performer, we learn just how much work these cast members put in before they make it out for that 7pm parade. Some information given is not there to shock fans of the parks, it’s doubtful that if you are reading this that you’ll be sitting mouth open as you are told that Main Street USA is a representation of an American town at the turn of the 20th century and inspired by Walt Disney’s birth town, but there are wonderful shots behind those green maintenance fences as we discover the care and attention given to make our parks look as beautiful day in and day out as they do. It’s little facts such as where the inspiration for our version of Sleeping Beauty Castle came from and how the colours of it were chosen that is likely to make you want to pick up this film and spend 50 minutes of your day watching it. Fans of ride maintenance won’t be disappointed as we are treated to a few minutes of overnight maintenance footage on both Indiana Jones et le temple du péril and Pirates of the Caribbean, again don’t be expecting information on the ride system but seeing how much care is put into the rides from both an artistic and technical viewpoint was something to behold. Again we were very impressed with the segment on the care of the audio animatronics both by those tasked with locating the problem animatronics and those tasked with the unenviable job of creating and fixing them. Something that we can’t overlook in the park is the excellent work by those who work on the parks horticulture, and whilst perhaps this team is given the briefest section of all the teams featured it is enough to convey for a neutral audience, the love and attention given to each individual plant. A gardener is asked about an individual plant and he could tell us immediately its age and when her birthday was, a real eye opener. Perhaps the longest section (at over 10 minutes) was reserved for a behind the scenes look at the work put in each day by the team of the Buffalo Bill Wild West Show. We felt the time reserved for this was perhaps a bit over what we expected compared to other roles in the resort but interesting nonetheless. If behind the scenes of this show interests you (horse training, how the actors prepares and a bit of information on the props) this is an ideal film to watch in itself. Overall, this is a basic introduction to the world of the backstages of Disneyland Paris, fans of the parks are not going to be shocked or amazed by a wealth of information, however what you will get from this film is a look behind the scenes and interviews with the people that make the magic happen everyday, you will see their passion and determination to do their job to the fullest so that we can enjoy ourselves. This film is not for those who do not care for seeing underneath the magic, if Disneyland Paris for you is what you see in the park, this film really is not for you, you might not enjoy the sight of a ‘naked’ pirate or a Fantillusion float in the daytime. We really enjoyed the film and gave it a 4 star rating, our wish is for it to be a little bit longer and to go more in-depth. 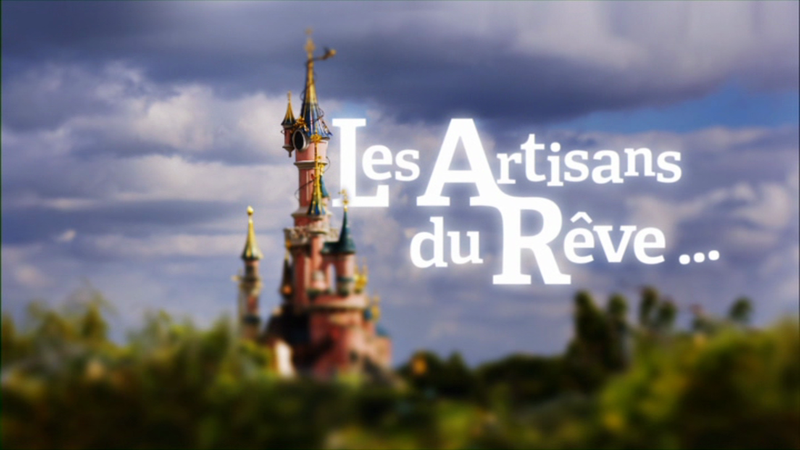 (But for French speaker we have France 3’s ‘Disneyland et ses secrets’ for that). This film is presented in French with English subtitles and can be purchased from the French Amazon website. Finally, a note of thanks from us to all cast members of Disneyland Paris, past, present and future. All fans of the resort really appreciate the work you put in to keep our resort looking fresh and giving us unforgettable days each time we visit. This DVD serves as a tribute to your work and hopefully brings your work to a wider audience. Thank You! ~ I’m sure we’ll return to thank cast members in a later post. PreviousPrevious post:Pin Trading: Indiana Jones Event pins!NextNext post:2013 Christmas Season Rumours!